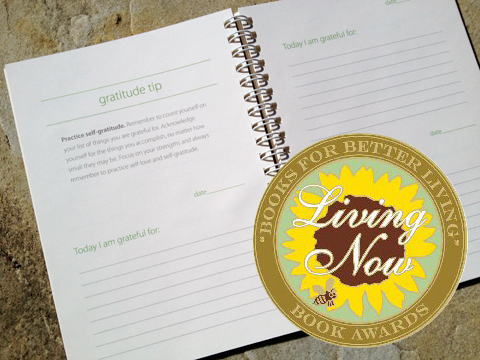 Discover how powerful a daily gratitude practice can be for creating greater health and happiness with this award-winning journal by Lorraine Miller, Gratitude Writer, Speaker and Coach. This one-of-a-kind journal guides users through a step-by-step process for incorporating a simple, yet powerfully transformative gratitude practice into your daily life. With twenty-two weeks of journaling space, along with inspiring tips and a special gratitude meditation, this journal helps users keep a positive mind-set, balance the effects of stress, reduce anxiety, nourish inner beauty, and set intentions for living one’s own version of bliss. Whether one struggles with physical or emotional challenges, or simply wants to find more joy in life, From Gratitude to Bliss provides the perfect introduction to a sacred healing practice that spiritual and non-spiritual people alike are embracing worldwide. Your purchase helps nourish the children of Haiti! 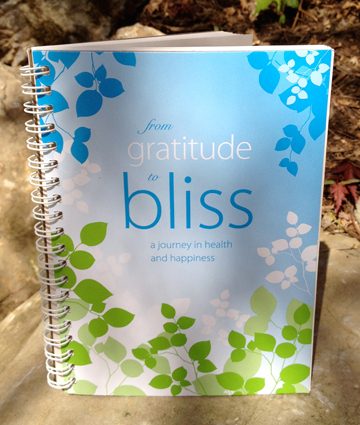 From Gratitude to Bliss is printed in the U.S.A. on FSC-Certified recycled paper by Latitude, LLC, a company on a mission to feed starving children. Latitude does this by providing the very best printing in the industry for an extremely competitive rate and applying 50% of all profits made from this service towards feeding children in the poorest country in the western hemisphere–Haiti–a country where 1 in 8 children will die by the age of 5 from curable or treatable diseases, many of which are caused by unclean water and lack of nutrition.